Unlike free WordPress themes for real estate that may lack attention to quality, this premium WP template is freshly updated in 2018, and comes with the professional features you need to make a great website. The MyHome theme is freshly designed in 2018. 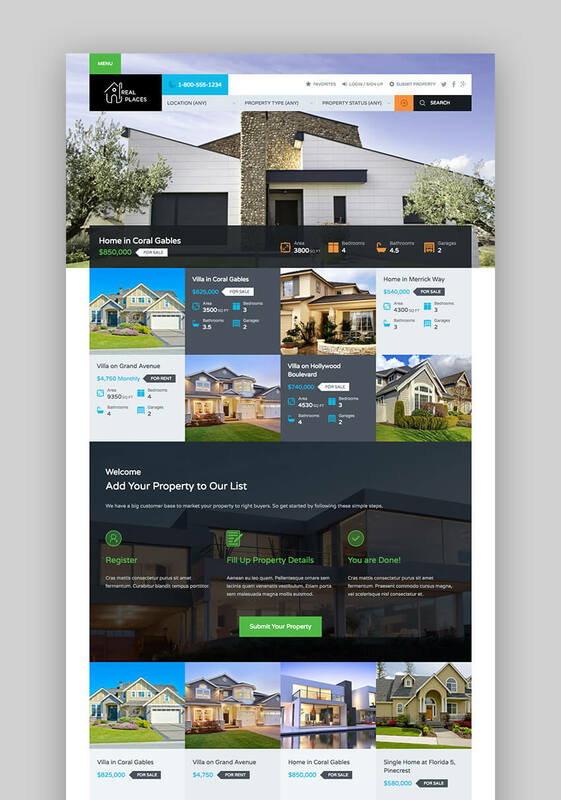 It comes with nine different home page layouts and three versions of property sliders. You can even use videos to promote your properties and capture visitor’s attention. 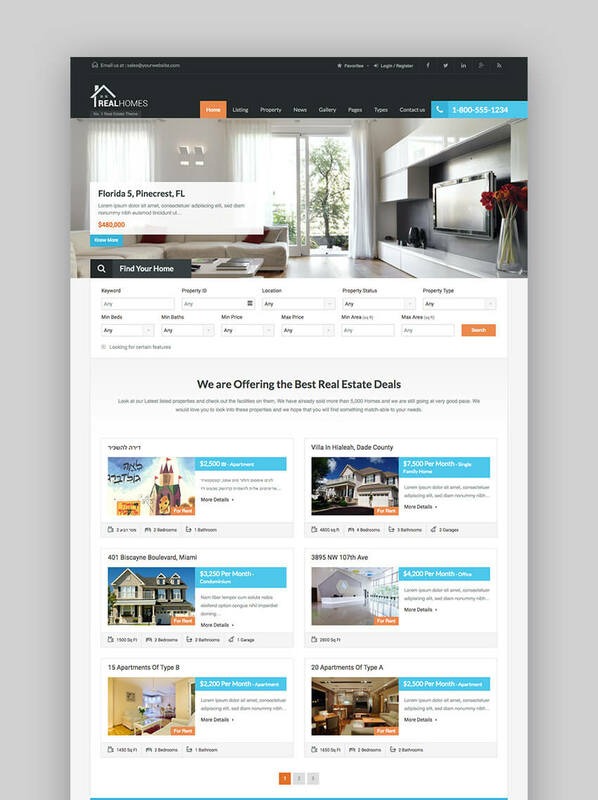 This great real estate website template is also translation-ready and allows properties to load on the pages without having to refresh the pages. 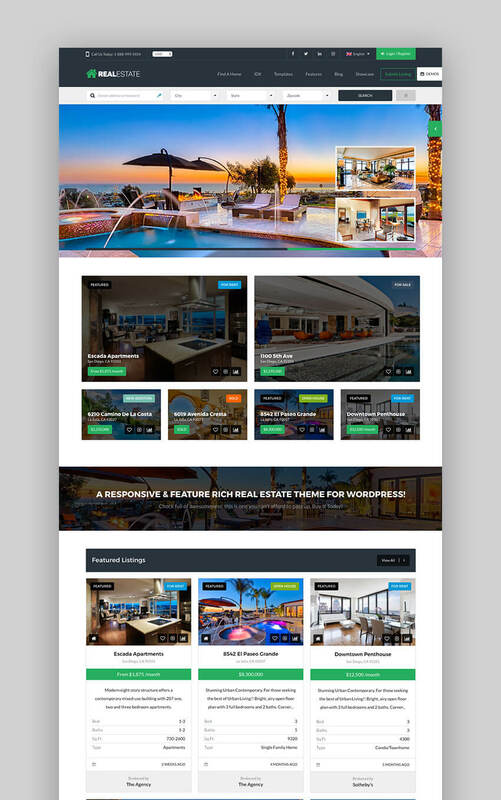 The OpalHomes real estate WordPress template was exclusively built in 2018 for single property sale and rental websites. It comes with one of the best, flexible layout system. 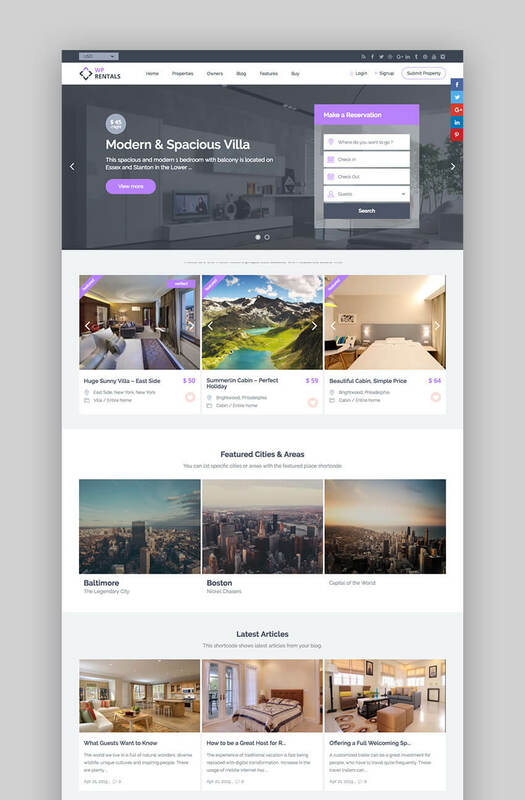 It includes six+ unique demos, creative design, and ultimate core features to build an outstanding professional property website. 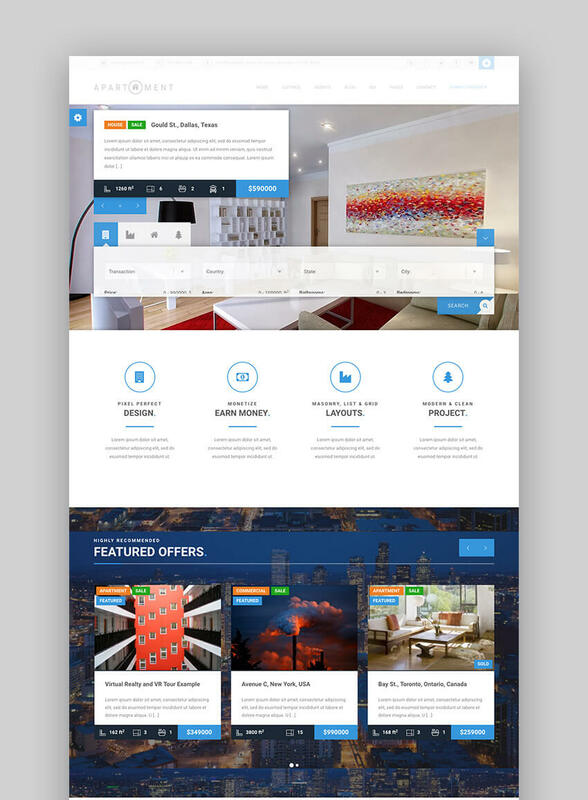 The Apartment responsive WordPress theme offers a clean and modern design with options like advanced Google Maps, Street View, and panoramas with stunning visual effects. It’s designed and updated in 2018 to help you to stand out from your competitors. The theme is also fully customizable and comes with numerous layout possibilities.